Thelma Mulligan, Clarks Summit, died Saturday morning in the Allied Services Hospice Center. She was the widow of Robert James Mulligan who died April 21, 1991. Born on November 10, 1922 in Milltown, New Jersey, she was the daughter of the late Earlen and Grace Krause. She and her husband moved from New Jersey to Westport, CT. where in 1953 she became a stay at home mom to her three children and a constant school and community volunteer. From 1979 to 1986 they traveled the United States, Canada and Mexico and finally settled in Lady Lake, Florida. 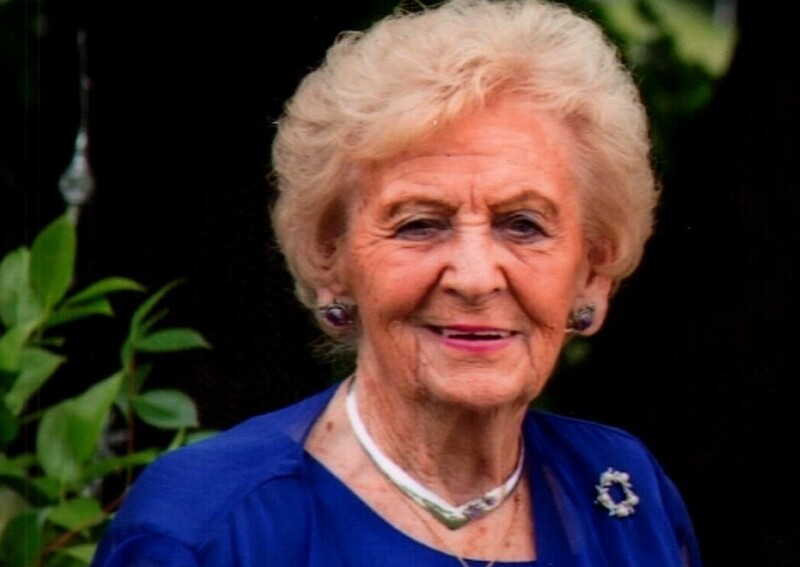 Known to most as “Nanny”, she enjoyed spending time with family and friends. Her grandchildren and her great grandchildren were the joy of her life. Nanny would spend hours playing cards and games with them. A deck of Uno was always close by. Her laugh was infectious and boisterous. Many times Nanny’s tear-filled, breath-pausing laughter would bring games to an amusing early conclusion while she tried her best to compose herself. No one could keep up with Nanny’s pace, particularly while on vacation. She prided herself on being the first one up in the morning and the last one to bed at night. And she had the same opinion of naps as her grandchildren and great grandchildren did, they are pointless. The family would like to thank the entire staff at Allied Services Hospice Center and especially her companions Pauleen Thomas and Cindy Bird, for the dedicated, compassionate and outstanding care and friendship they afforded to Thelma. Surviving are a daughter Lynda Lynett and her husband Edward J., Jr.; a son Robert James Mulligan, Jr. and his wife Carol; nine grandchildren and nineteen great grandchildren. She was also preceded in death by a son Gregory Edward Mulligan who died in 2013; five siblings Jean K. Bogoney, Grace K. Baldwin, Earlen, Jr., Richard and Donald Krause. All attending the Mass are asked to go directly to the church. Friends may call Tuesday from 3-6:30pm in the Vanston and James Funeral Home 1401 Ash St. Scranton. Memorial contributions can be made to the Allied Services Hospice Center 511 Morgan Highway Scranton, PA 18508.